This partner page is dedicated to Altaro who has been blog sponsor since May 2016. 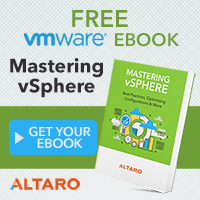 Altaro VM Backup is an affordable backup solution for Hyper-V and VMware VMs priced per host and not per socket or CPU. This cost-effective solution is super easy to use with a straightforward interface and simple wizard setup process. The software solution comes packed with features to back up VMs including flexible scheduling, data integrity checks, automated test drills and more. Thanks to Augmented Inline Deduplication Altaro VM Backup can offer faster backup speeds as there is much fewer data to transfer! Altaro uses inline deduplication to reduce storage requirements among all VMs being backed up to the same backup location. On average Altaro customers save 65% in backup storage! Altaro VM Backup has fast restore options to recovery quickly. A whole VM can be restored to a new host, as a clone or opting to restore specific Files or Exchange Items directly from the backup. Boot VM from backup is another option where it allows to instantly boot a failed VM directly from the backup location while the VM is being restored in the background, including all changes done to the booted VM. For offsite backup strategies, backups can be replicated to an offsite location using the Altaro Offsite Server, a NAS, drive rotation or RDX cartridges. Try it out now, download a 30-day trial. 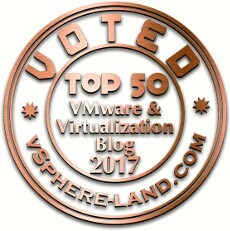 If you need only 2 VMs per host, you can download the free VMware edition. Altaro VM Backup also provides a solution for Managed Service Providers where all backups can be monitored and managed from one single online dashboard. 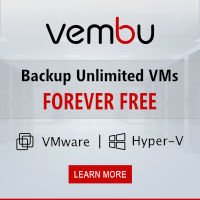 This groundbreaking backup solution is subscription based where MSPs can pay per VM per month with very low monthly commitments.